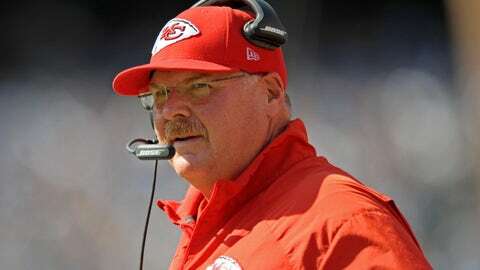 Kansas City Chiefs head coach Andy Reid likened a perfect play to universal joy: a perfect cheeseburger. The contest is over. Kansas City Chiefs head coach Andy Reid has already locked up Quote of the Year for the 2015 NFL season. "That’s a pretty good feeling," [Reid] said with a wink. "That’s like a good cheeseburger."